Disclaimer: I received the Brilliant Reflective Safety Strips to review as part of being a BibRave Pro. Learn more about becoming a BibRave Pro (ambassador), and check out BibRave.com to find and write race reviews. Now that those 2 horrifying factoids are out of the way, what can we do to keep ourselves safe on the roads? This time of year, with sun rising later and setting earlier, most of our weekly runs will actually take place in the dark. Wearing lights and reflective gear goes a long way towards keeping runners, cyclists, walker, etc safe on the roads. However, buying reflective clothing can be expensive and it often doesn’t look great during the day. Brilliant Reflective Safety Strips are an inexpensive and creative way to turn any clothing or gear into reflective material! BibRave Pros received both the stick on and iron on packs. I used the stick ons first since I didn’t have access to an iron (if it needs to be ironed don’t buy it!). At first I was pretty disappointed because I used the strips on my running tights. I tested them on a short run and spent most of my time constantly reapplying the strips as they kept falling off the material. I did use some of the strips on my handheld water bottle and Orange Mud Hydraquiver and they worked much better in these places. I finally borrowed an iron and was able to apply the iron on strips to my most-used running jacket. Brilliant Reflective sends an info guide which includes suggested locations for strip placement according to “biomotion.” Essentially, placing reflective strips on the moving parts of your body makes it easier for a driver to see you and distinguish you as a person on the road. The iron on strips were applied easily, didn’t damage the jacket at all and have survived several washes so far. If they start to peel, you can easily run the iron over it again to reapply. I haven’t had to do that yet though. White and bright colored clothing increase visibility during the day but do very little in low light conditions. 3M™ Scotchlite™ Reflective Material shines light back at any driver. It increases the wearers visibility and gives the driver additional time to avoid pedestrians or bikers who wear reflective material at night. Brilliant® Color Reflective means it won’t be noticed during the day on your gear. It only works when you need it. 3M Scotchlite Reflective Material was developed to reflect a headlight back towards the driver of a motor vehicle from any angle, greatly increasing the visibility of anyone wear it. Reflective material greatly increases the visibility of pedestrians and bikers and allows drivers more time to avoid accidents during low light hours. Wearing reflective material at night is recommended by the US Department of Transportation to reduce pedestrian injuries. Up until recently all high-brightness 3M Scotchlite Reflective Material was always silver, which made most garments with reflective material only suitable for commercial applications. Brilliant Color Reflective means 3M Scotchlite Reflective Material does not have to be silver anymore. It won’t be noticed during the day on your gear. It only works when you need it. While I wish the stick-on materials were a bit stronger, the price is still right for a quick and easy safety additive. What do other BibRave Pros have to say? 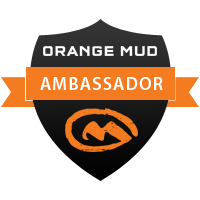 Want to chat more about running safety and learn about Brilliant Reflective products? Join BibRave and Brilliant Reflective for the Twitter #BibChat on Tuesday, January 10 at 9pm EST. You could win yourself some Brilliant Reflective Safety Strips! Don’t forget to follow BibRave and Brilliant Reflective for your chance to win. This entry was posted in Product Reviews and tagged besafe, beseen, bibchat, bibrave, products, reflective, reviews, running, Training, winter. Bookmark the permalink.